Say it on a T-shirt: What does the Art Museum Mean to You? 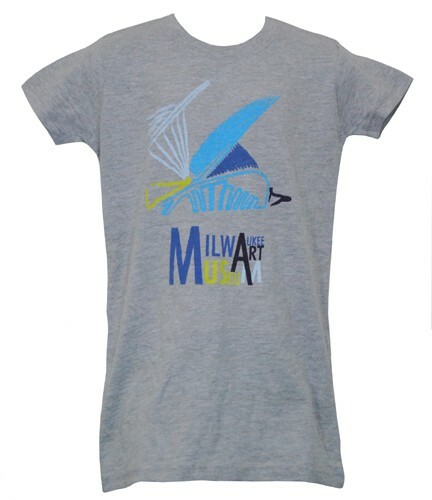 Shirt with "painterly" view of the Milwaukee Art Museum submitted by T-shirt design contest winner McKenna Schoonover. Available at the Museum Store. This spring, the Milwaukee Art Museum partnered with The A.V. Club Milwaukee to sponsor a design contest for a new line of T-shirts to be sold in the Museum Store. Clearly, this question was a launching pad for a variety of interpretations. Milwaukee’s creative community was inspired and the Museum received dozens of submissions which were voted on by friends “liking” the individual designs on The A.V. Club’s Facebook page. There were too many fantastic ideas to pick just one, so in the end I’m thrilled that the Art Museum has two fresh new designs to offer in the Museum Store! 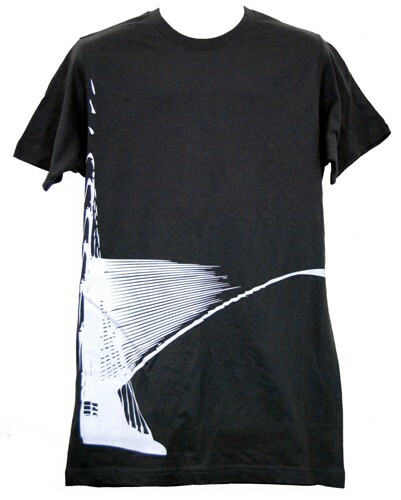 Many T-shirt design submissions conveyed the relationship that the designer has with specific artworks in the Museum’s Collection. 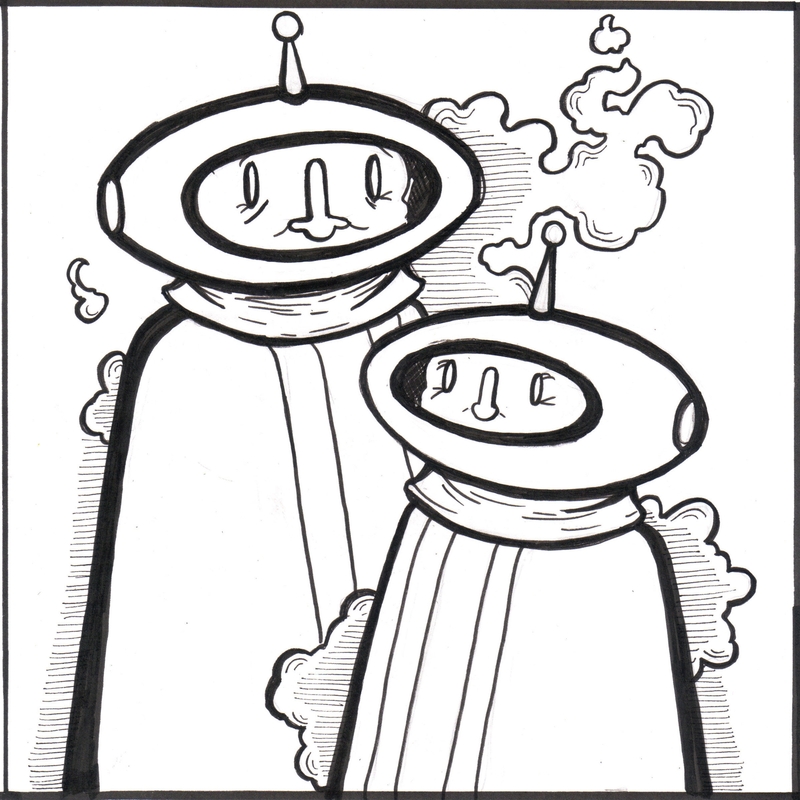 In contrast, other submissions reflected social experiences the designer has had at the Art Museum—for instance (just below) Nick Hartley submitted a cartoon depiction of memorable silver space helmets that sometimes appear as props in the photo booth at MAM After Dark. 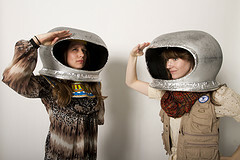 Brenda Neigbauer and Sierra Korthof posing with "space helmets" in the MAM After Dark Photo Booth. Photo by Front Room Photography. Nick Hartley's proposed T- shirt design based on the "space helmets" at MAM After Dark. Other designs suggested the personal inspiration that comes from spending time with the works in the collection and the stimulating architecture—those designs more loosely reference the Art Museum itself, but are incredibly engaging, nonetheless. Overwhelmingly, a recurrent design answer to the question of “What does the Art Museum mean to me?” was a reference to the Art Museum’s architectural place in our community. Shirt with view of the Milwaukee Art Museum submitted by T-shirt design contest winner Will Reiland. Available at the Museum Store. During the contest, voters “liked” beautiful depictions of the city’s lakefront skyline, with the Milwaukee Art Museum’s celebrated Santiago Calatrava-designed Quadracci Pavilion front and center. The two winning T-shirts were designed by Will Reiland and McKenna Schoonover. From the Museum store online or in the building, you can purchase Reiland’s unique depiction printed on a unisex fine charcoal grey 100% cotton T-shirt and Schoonover’s design on a lightweight heather-grey jersey with a flattering ladies fit. These shirts share two qualities: a sense of the Art Museum as a place and a reflection of the designer’s inspiration that comes from experiencing this architectural wonderment. The voting was anonymous, so when the winners were revealed we were thrilled to learn that both of the winning designs were created by talented local students! The Museum’s primary mission is to “serve the community and present art as a vital source of inspiration and education,” and the fact these two charming designs were created by students reflects that mission impeccably. This entry was posted in Art, Museum Store and tagged design contest, McKenna Schoonover, Museum Store, Santiago Calatrava, T-shirt, Will Reiland. Bookmark the permalink. 2 Responses to Say it on a T-shirt: What does the Art Museum Mean to You?